Empowering Malealea to a brighter future. Malealea is located in Lesotho, a small country in Southern Africa with a high prevalence of HIV and a mostly subsistence population. SOLMA works tirelessly with local organizations to support Community Development, Health and Well-Being, Education, the area’s Vulnerable Children. Supporting education, innovation, and health. The Malealea Development Trust is a completely locally-run organization in Malealea with whom we work closely. Schools in Malealea are over-crowded and often crumbling. We are continually raising funds to provide urgent reconstruction projects for schools, because children deserve learning environments that are whole and safe. The people of Malealea often have to walk miles every day to retrieve water for drinking, cooking, crop irrigation, and bathing, and even then the water can be dangerously contaminated. We are working to expand safe water access by constructing safe pipelines to town taps, but the work required is immense. Childhood is often lost to the harsh realities of subsistence living. Too many children struggle to make it to school and to get enough to eat. If they have a disability, life is made nearly impossible. As well as contributing funds to need-based secondary school scholarships and supporting supplementary educational programs for all students, we also provide aid to children living with disabilities, allowing them to get the individual care that they need. 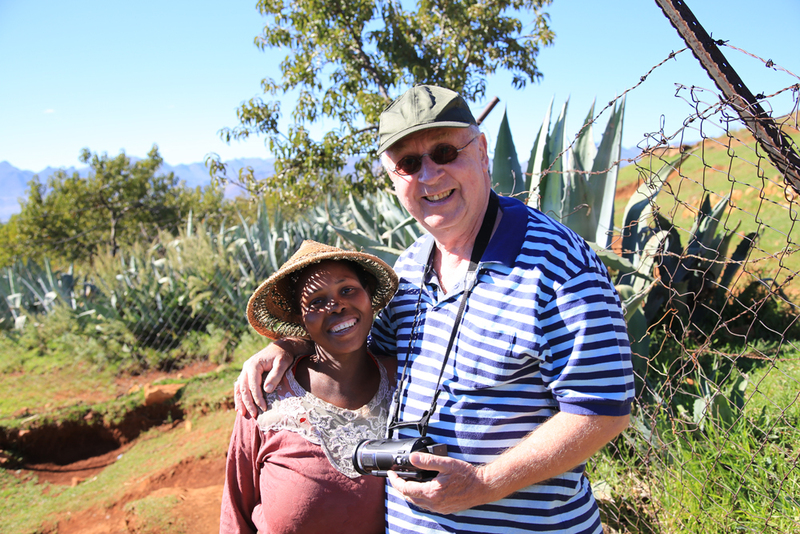 It all started when our founder, Gerard Heijkoop, visited Malealea for the first time. Since 2004, we have been collaborating with local organizations to support sustainable development and improvements to general quality of life for the people of this incredible land. In 2017 we were able to provide scholarships for two children with disabilities, complete monumental restorations to the Lebona Primary School and the Molai Primary School, as well as make progress towards providing clean water access to the village of Ha Raboletsi. We continue to support the salaries of the Malealea Development Trust staff, as well as their many other fundamental projects.